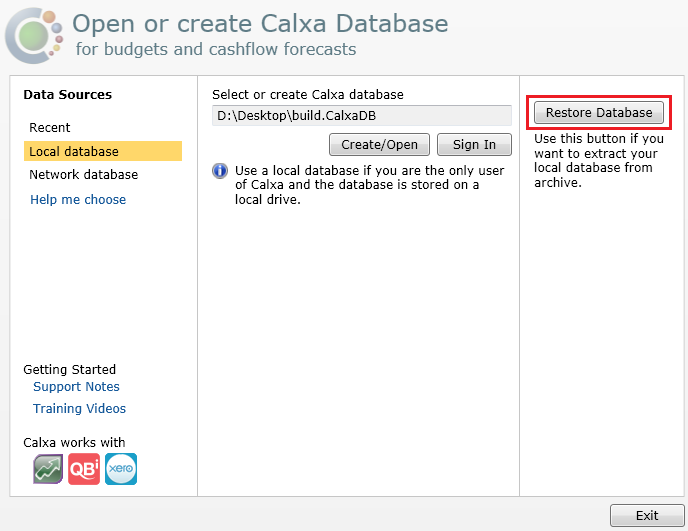 This help note is used for backing up and restoring local Calxa database files. 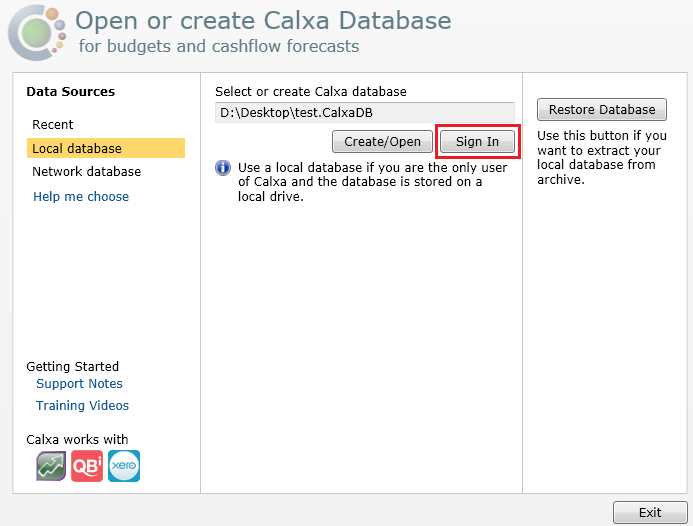 If you are using an SQL server database please refer to the help note – Backup and Restore: Network Database. 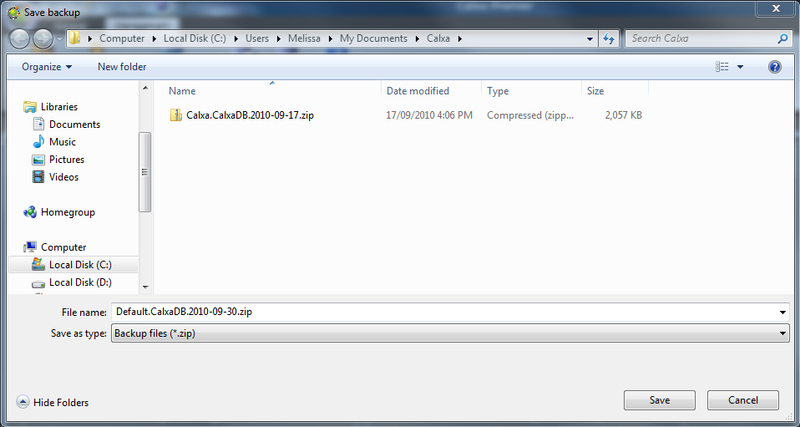 Note – The default name of the backup file is the Calxa database name and the date, with a ‘zip’ extension. When you have selected the desired location for backup, click Save. Select your backup using Browse button. 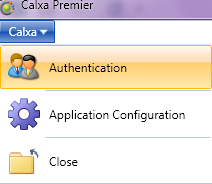 Click Sign In on the Authentication screen to connect to the restored database.